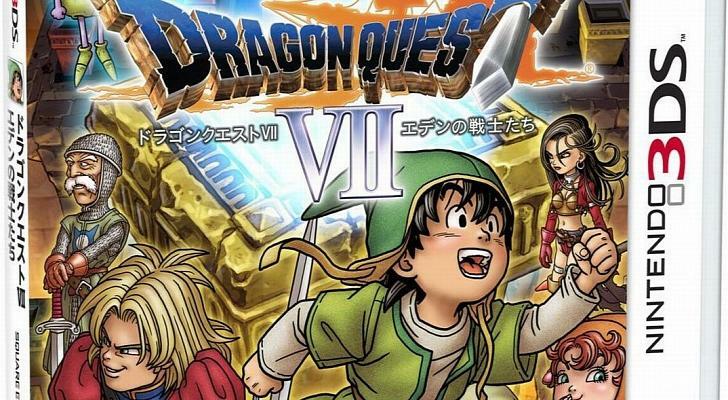 The Dragon Quest fanbase is out in full force after the series’ Mobile Producer Noriyoshi Fujimoto and Executive Producer Yu Miyake said that the franchise wasn’t “justifiable” in the West and that it could only be translated if the fanbase proved to be there. 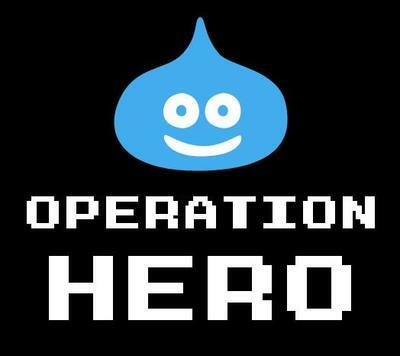 Searching for a place to organize and make their voices heard, Dragon Quest fans now have the full backing of Operation Rainfall with a branch called “Operation Hero,” dedicated to getting the series back on its feet in the English speaking world. Those who don’t remember, Operation Rainfall was a powerful, grassroots fan movement which allegedly was strong enough to convince Nintendo to localize a handful of Wii JRPGs before the console went out of style, namely Xenoblade Chronicles, The Last Story, and Pandora’s Tower. After it picked up steam and a lot of attraction around the net, all three games suddenly either found themselves published by Nintendo or passed on to XSEED to localize. Nintendo has since retrospectively denied Operation Rainfall had any power in its decision process, but the fans know that their voices were heard at some point. Square Enix’s producers at least seem to be more open to fans getting a say and acknowledging that outcry led to the development and localization of Final Fantasy Type-0 HD. Hope still remains for the company’s longest running series. So far, Operation Hero and its petition have amassed 3,500 signatures in support of Dragon Quest since first going live earlier in the summer, and a good chunk of that has come in the past few weeks after Square Enix finally acknowledged the games and their fanbase in the recent interviews. Square Enix and the Dragon Quest series currently have five games in Japan that have yet to be localized into English. Operation Hero is prioritizing the Wii U, PC, and 3DS versions of the MMORPG Dragon Quest X and the oft requested Dragon Quest VII remake on the Nintendo 3DS. It acknowledges that while the profits for these games might be marginal, Square Enix should still localize them for the sake of the fans and accept that even a small amount of profit is worth the value of a happy and satisfied fanbase. Some might argue that the lack of sales for the Dragon Quest series is the reasoning for Square Enix and Nintendo’s hiatus from localizing both games. Operation Hero’s goal is to show both Square Enix and Nintendo that there is in fact a large dedicated fanbase outside of Japan, and we will let our voices be heard. Hopefully, if these two games are able to pick up traction in the West, Square Enix will get around to localizing the remaining 3DS games Dragon Quest Monsters 1 & 2 and Dragon Quest Heroes: Rocket Slime 3. I’ll be realistic. I know that Dragon Quest X faces an uphill battle due to its nature as an MMORPG. That will be tough for Square Enix to make profitable in the states, especially when it wants Final Fantasy XIV: A Realm Reborn to be a sustainable hit. However, the Nintendo 3DS games have a clear, definite, and frustrated audience just waiting for Dragon Quest VII and its handheld brethren to be released. In a world where similarly sized JRPGS like Fire Emblem: Awakening, Etrian Odyssey, Shin Megami Tensei, and even Square Enix’s own Bravely Default can break records upon release and make their respective companies a nice profit, there is no room or excuse to think that Dragon Quest VII can’t do the same. I would never demand from a video game company something that was beyond its immediate power. I don’t demand HD remakes of Final Fantasy XII and Dragon Quest VIII because I realize those would be massive undertakings for Square Enix and would eat up a lot of manpower and resources. However, when a game is already made with real human beings actually playing it in some parts of the world and just needs a localization for others to enjoy, we have a situation that doesn’t seem unreasonable. That is why I am backing Operation Hero, and that is why all fans of Japanese games should as well. These days of the AAA market have thrashed and battered the middle class of gaming, and huge publishers like Square Enix simply won’t take the time to acknowledge a moderately successful franchise like Dragon Quest now that everything has to multi-million selling hit. Check out Operation Hero on its official webpage, Facebook page, and their petition.